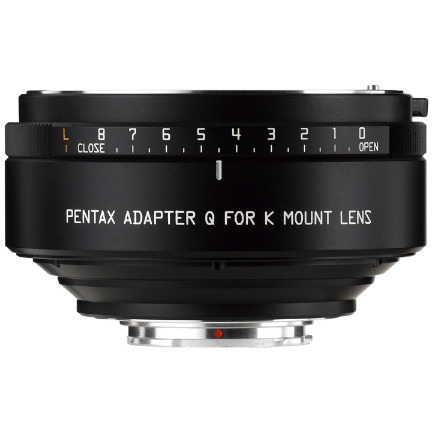 The Pentax Adapter Q for K-mount Lenses permits the use of Pentax K-mount lenses on Pentax Q-series cameras. 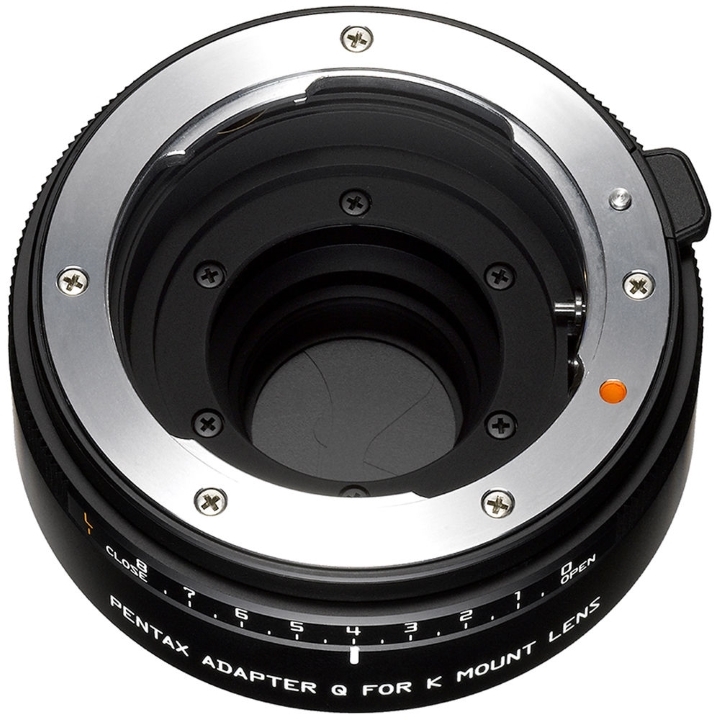 This adapter provides an effective increase in focal length by 5.5x, making it ideal for telephoto lens applications. The built-in mechanical shutter helps to prevent rolling shutter distortion when working with moving subjects and features a shutter speed range from 1/1000 to 30 sec. Also helping to prevent the effects of camera movement, applicable lens focal length information can be input in order to gain the benefits of in-camera Shake Reduction. 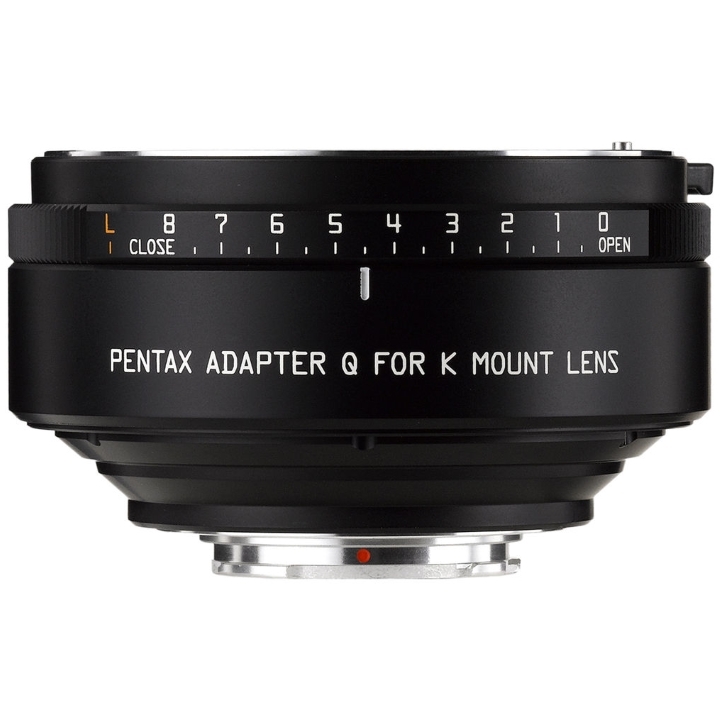 The adapter is compatible with a full range of K-mount lenses, creating a substantially greater breadth of options for use with your Q-mount camera. Built-in mechanical shutter helps to prevent rolling shutter distortion. Supports manual aperture control and shutter speeds from 1/1000 to 30 sec. By inputting mounted lens focal length information, in-camera Shake Reduction is possible.